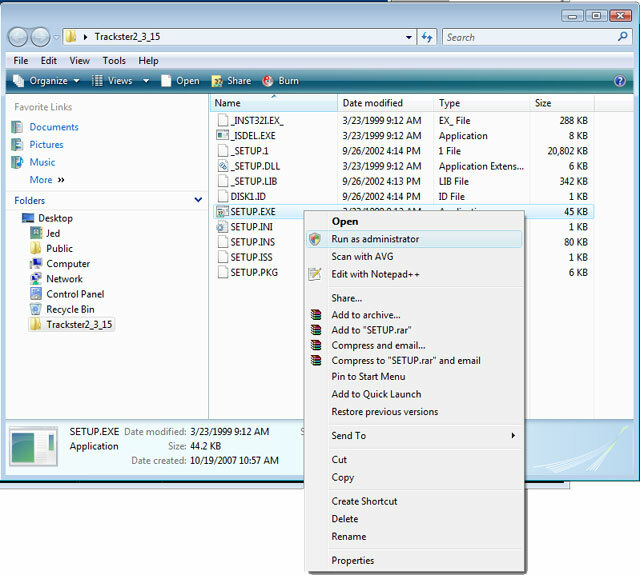 To run the procedure below, you must have Administrative rights to the computer. 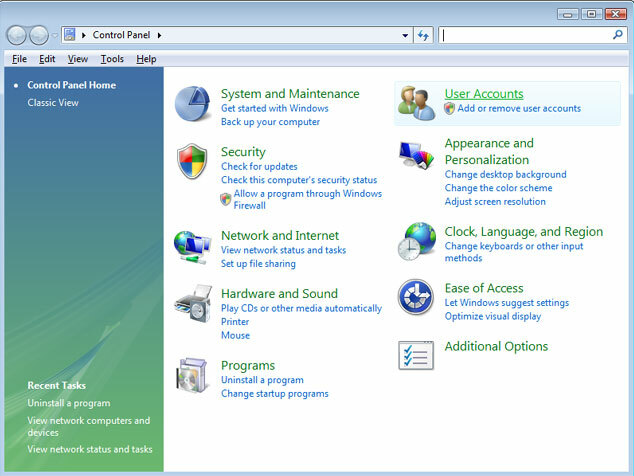 Click "Turn User Account Control on or off"
Open the directory or CD that contains the Trackster installer file (Setup.exe). 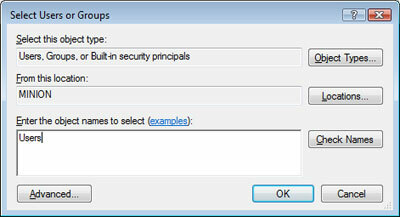 Right-click on the Setup.exe file, then select "Properties"
Click the "Check Names" button. 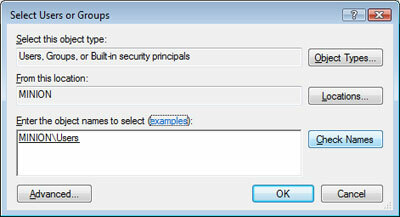 After you click the Check Names button, the text you previously entered (Users) will change to [ComputerName]\Users. Click the OK button. 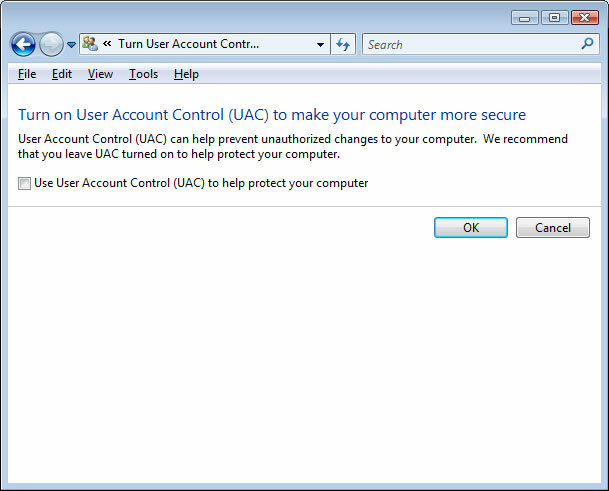 In the "Permissions fo Users" area, select "Full Control", then click OK.
Right-click the "Setup.exe" file, then select "Run as administrator". 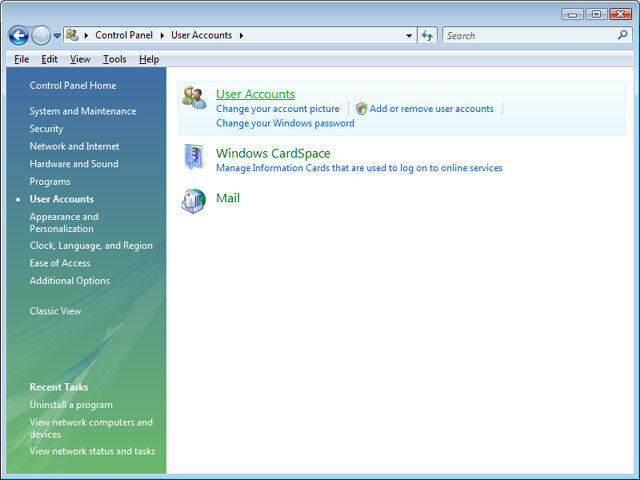 If you don't have the "Run as administrator" option, Right-click and select properties. 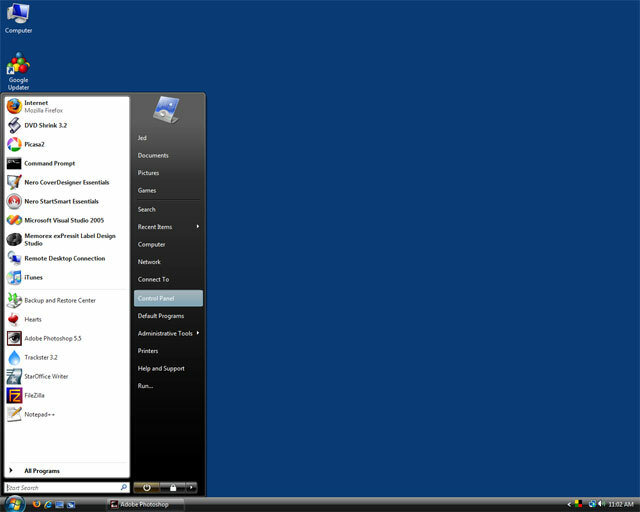 Click the advanced button (General Tab) and check the "Run as administrator" checkbox. 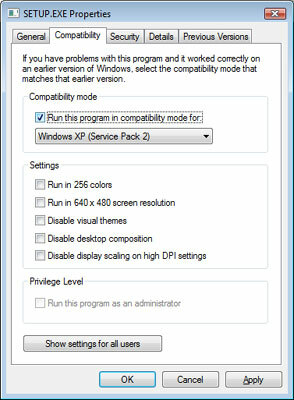 Still having Trackster 2 problems? 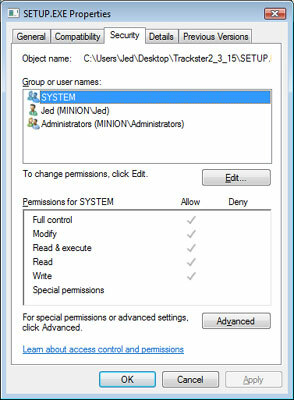 Go to "All Programs > Accessories"
Right-click "Command Prompt", then select "Run as administrator"
Right-click on the "ODBC.INI" directory, then select "Permissions..."
Still having Trackster 3 problems? 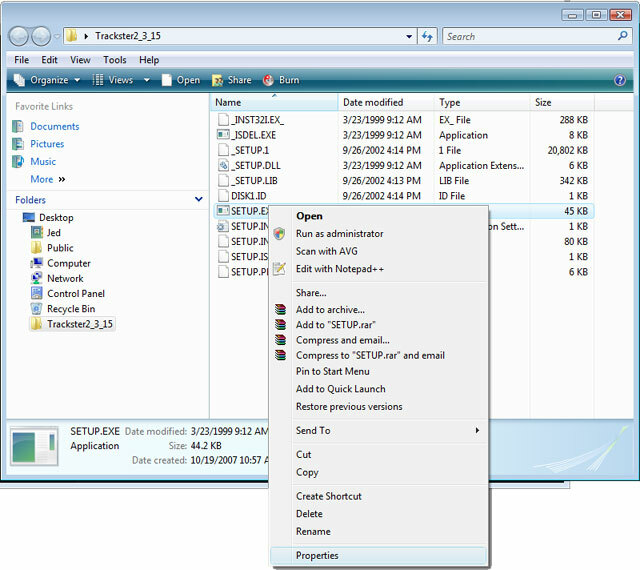 The most common error after or during Trackster 3 installation is a "dbWrapper" error. 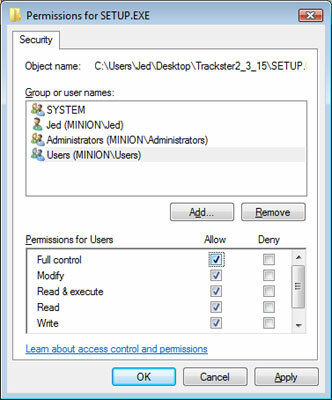 The most common solution to this problem is manually setting permissions for the Trackster 3 database (trackster.mdb). 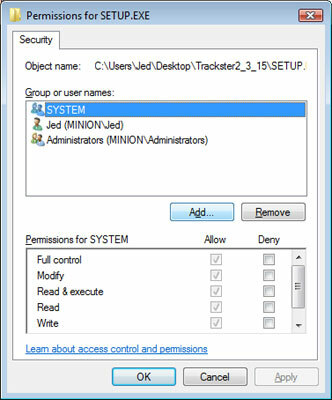 To learn how to configure "Full control" for the trackster.mdb database, follow the instructions described in this video - Configuring Trackster 3 Database Permissions. 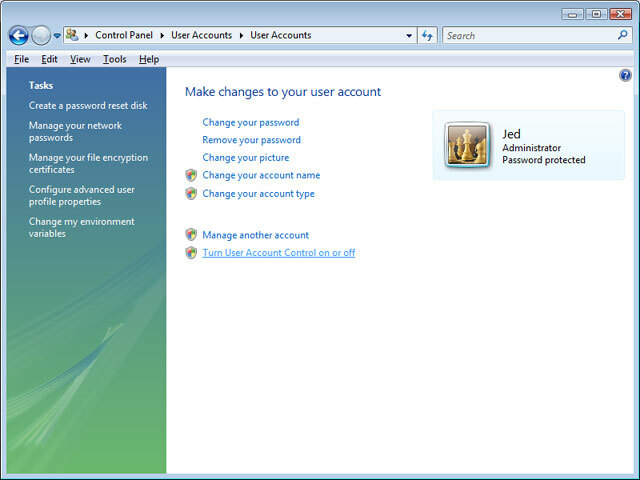 you will need to reinstall the Microsoft .NET Framework 2 component.